I recently listened to some lectures by American surgeon Dr Atul Gawande. In the first lecture, he told how a basic practical error in a hospital – placing an oxygen probe on the finger of the wrong hand – nearly led to the death of his own 11 year-old son. In the second, he told how a medical team in Klagenfurt, Austria, were able to work together to revive a 3 year-old girl who had ‘drowned’ in an icy lake for a full 30 minutes before she was fished out. At bottom, both episodes are about the issues of process and co-operation. In the first story, Gawande’s son nearly dies due to an absence of even basic checks and collaboration. In the second, a ‘dead’ girl is brought back to life by a team made up of dozens of individuals each playing indispensible roles in carrying out complex procedures with astonishing efficiency and effectiveness. Gawande’s personal experience as near-bereaved father and seasoned surgeon and his personal discovery of the development and instituting of lifesaving processes in Austria led him to recognise the need for and to craft the first standard pre-operative checklist. He then worked with the World Health Organisation to get this simple checklist put in place in hospitals and clinics throughout the world. The results have been fantastic. Literally thousands of lives have been saved simply by having teams of medical staff come together to check everything is in order before they operate. Airlines have, of course, been doing this for decades. It’s remarkable and shocking that surgical and emergency medical teams have not. Gawande argues that we have been blinded by our belief in our own cleverness. He believes that the discovery of penicillin – that miraculous saver of millions – actually contributed a great deal to the foundations of an arrogant modernist philosophy of medicine built on the idea of the simple technical intervention: swallow this pill, take this injection and you’ll be fine. Our overwhelming focus has been on the individual – the individual body, the individual molecule, the individual gene – rather than on the complex interactions between bodies, molecules, and genes, not to mention, of course, the wider social and natural environment. Gawande contends that we’re suffering not from a lack of knowledge, but of basic organisational efficiency and a corresponding humility. Ours is a strict hierarchical system within which the expertise of the most senior person is venerated. They are expected, and very often these hubristic experts themselves expect, to know everything and lead everyone. But, however smart and knowledgeable these individuals may be, they are flawed human beings working in increasingly complex systems. There was no secret to the success of the lifesaving team in the Austrian Alps beyond what amounted to a horizontalisation of organisational structure. Most tellingly, as the Austrian approach developed, the individual with what might seem the lowest position in the hospital’s hierarchy – the telephone operator – became the lynchpin of the whole operation. The telephone operator is the first to receive the emergency call and then springs into action to notify and coordinate all necessary staff members. 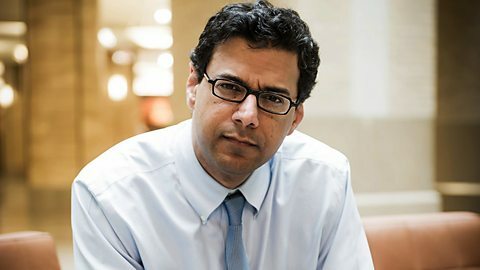 Atul Gawande’s examples come from the sphere of medicine, but the same principles are true in every area of human life. Ironically, one of the central arguments for the free market as opposed to the state-planned economy made by the venerated ideologues of the right such as Ludwig von Mises, Friedrich von Hayek and Milton Friedman was that, since society and the economy, people’s interactions and desires, were far too complex and fluid for any small group of ‘wise men’ to know or predict, it was only through the mechanism of the unfettered and impartial market that scarce resources could be allocated efficiently and justly. As I have argued elsewhere on this blog, there is no free market. Markets are socially constructed and managed by the politically powerful and, rather than generating efficient or just outcomes, they invariably produce outcomes that serve the interests of capital against those of society and nature. Capital requires authoritarian rule. That’s why Milton Friedman played a crucial part in the 1973 coup against democratically elected socialist President Salvador Allende in Chile. Neither is the conclusion of Gawande’s adventures to place more centralised power in the hands of the state. First, that centralised power, in conditions of extreme class, gender, and racial inequality, will only exacerbate the problems we face. Second, von Mises, von Hayek, and Friedman et al’s argument about the fallibility of the judgment of rulers is accurate. The real lesson of Gawande’s experiences and checklist is that we need a dramatic decentralisation, localisation, and democratisation of power. As Gawande himself said, we have moved through various social hierarchical models of communication. First, elites have simply imparted orders to the masses. Then, they have moved toward models of discipline and reward. Most recently, influenced by the modern advertising industry and behavioural psychology, they have sought to manipulate us in more unconscious ways. The horizontalisation of organisational structure that Gawande proposes can and must have the corresponding outcome of a democratisation of power. People who previously played monotonous bit-part roles can become empowered to create and lead. Instead of orders going down the food chain and little going up, we can now have constant and multi-directional feedback. Instead of one supposedly all-seeing, all-knowing, all-powerful leader, suddenly we have every member of team able to see, know, and lead at different times. The result is dynamism where once was stasis; knowledge and information where once was ignorance; and democracy where once was dictatorship. If there’s a fatal flaw at the head of the old system, there’s collapse. If there’s a flaw in the new system, there’s revival. That’s the model of plant intelligence we’re slowly coming to understand. The horizontalisation of organisational structures and the democratisation of power within these structures is being facilitated and catalysed by new information and communication technologies. Unfortunately, both the state and capitalism are the main fetters to the emergence of this exciting and hopeful new social model. Capitalism is a social relation between those who own and control property, production, and finance and those who are obliged to rent that property, work in that production, and pay that debt. Capitalism is not compatible with democratic forms of organisation and power. Because it divides humanity, authoritarian and coercive forms of organisation are required. As for the state, there is no reason why, under the right leadership, the state could facilitate this emergence, but the bureaucratic rigidity of the institutions and political culture of the current political system is very deeply entrenched. In reality, the central political battle, as Paul Mason has described it, is between the old older of hierarchy and the newly emerging order of network. The old hierarchy has been very clever, but the new network is infinitely wiser. This superior wisdom of the network, and the greater power, efficiency and justice it can harness, will ensure that it finally emerges victorious. Ultimately, however, this is not a battle of systems, but a political struggle between human beings pit against each other by, and seeking to overcome, the fundamental contradictions inherent in the current social system. In reality, learning the lessons and building on the successes of Gawande’s medical reforms will depend on this wider social struggle.